As a real estate broker I am often asked what are the best neighborhoods in Evergreen and the Denver Foothills. It is sometimes difficult to answer that simply because everyone’s needs are different. Some folks like big yards, others don’t like the upkeep of a large lot. Some people have kids that are school aged and some people don’t have kids but have horses. You may need to drive to Denver for work everyday or want to go skiing or mountain biking in the mountains every weekend and have access to those areas. You might like a view or you might think a view isn’t worth the money. There are many variables going into buying the right home in the right area for the right price. So for simplicity sake I am just going to pick out a few areas that I would live in in the Evergreen area. These areas might not be the right choice for you or your family but they are what I like and areas that will most likely hold value. Probably one of my two favorite areas is Upper Bear Creek. I get that the road can be long and winding and sometimes that valley can be shady early in the afternoon but they are some of the most beautiful homes I have ever see. I love to just drive that area and relax. The creek is beautiful and so calming. Most of the homes are older but have that awesome mountain charm to them. It is almost like stepping back in time driving up Upper Bear Creek. You will pay a little more for a home on Upper Bear Creek but it is worth every penny. It is one of the older neighborhoods in Evergreen and the value is there in its rich history and personality. The next area on Danny’s list of places he would live in Evergreen is, Soda Creek. The only and I repeat only downfall I have found about Soda Creek is that the cell phone service there is pretty rough. That could be something that can change over the next couple of years or you could buy a cell phone booster but if that is the only negative of the Soda Creek neighborhood, they are doing just fine. This is another are where you will be paying top dollar for it’s location. It is just a minute or two from I70 so your access to Denver and the ski resorts is much better than a lot of other Evergreen neighborhoods. Soda creek is a combination of older mountain homes and newer mountain contemporary homes. Most of the homes there allow horses (check with your mountain Realtor if a specific property allows horses) and they are mostly bigger lots. Because of the demand of this area you will be expecting to pay over a million for a home in Soda Creek. Hiwan is a very well known neighborhood in the Evergreen area. It is another one that has been around for some time now. Not as long as some but still another mix of older and newer mountain homes. 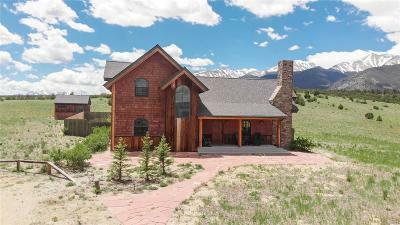 It also has great access to I70 as well as the ski resorts. It is located with Hiwan golf course nearby. The only downfall about most of Hiwan properties is the size of the lots. They are not as big as some lots you can get for the same price in other parts of Evergreen but again you are paying for the location as well as the Hiwan name. Hiwan was built in many stages with many home builders. You get a nice mix of different style, size and age homes in Hiwan. You certainly don’t have to worry about living in a cookie cutter neighborhood if you purchase your next home in Hiwan. The homes all are very unique and have their own certain charm about them. There are a bunch of different neighborhoods in the Hiwan area but for simplicity we will just call them all Hiwan for our use. I saved the best (as far as i’m concerned) for last. This is the area I bought my first house in Evergreen. Hangen Ranch is a fantastic neighborhood with absolutely awesome people. Most of the homes are horse properties and are on nice size lots. The best part of the neighborhood is the Sweet Potato Fest. It’s an annual event where everyone in the neighborhood jumps on their horses, ATVs or tractor and drives in a parade around the neighborhood and then it ends at one person’s house and we have some cocktails and play games. This event has nothing to do with real estate but it does tell you what kind of great neighborhood it is. It is a wonderful neighborhood where the neighbors really look out for each other. It really is a great mountain neighborhood down by a huge working ranch. Most of the lots are huge and you are right there by Three Sisters Open Space. These are just a few of the homes for sale in Evergreen in some of my favorite neighborhoods. There really isn’t a bad place to live in Evergreen and all the neighborhoods are just great. If you want more information on what area in Evergreen that will fit your needs please contact an Orson Hill Realty broker (agent) today for more information on Evergreen Neighborhoods.